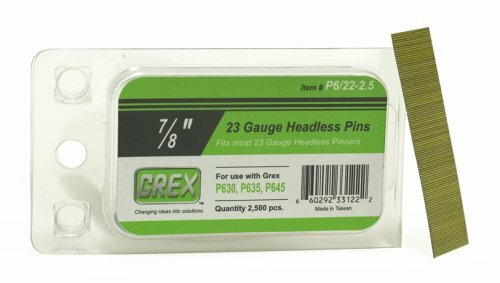 Top-quality 7/8" pin nails for the Grex P635 and P650 23-guage Headless Pin Nailers (26881 and 30918, sold separately). Pack of 2,500. All Grex 23-gauge pins are manufactured and tested to ensure accurate dimensional specifications, optimal material composition and dependable collation of pin strips. Caution: Loading fasteners incorrectly will damage your equipment!